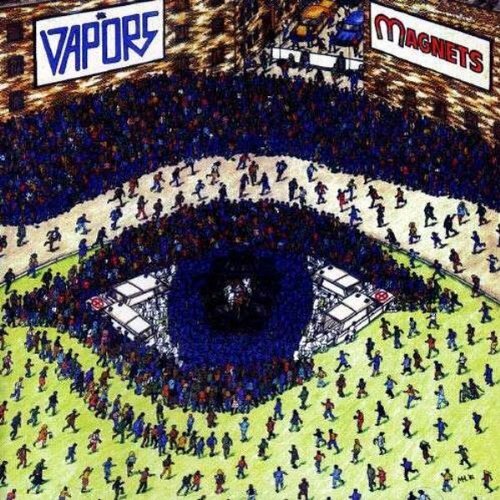 I’m guessing that if you’re reading this, you remember The Vapors. I also realise that many of you will now have the song Turning Japanese lodged in your head, and a few of you will think that was the whole story. 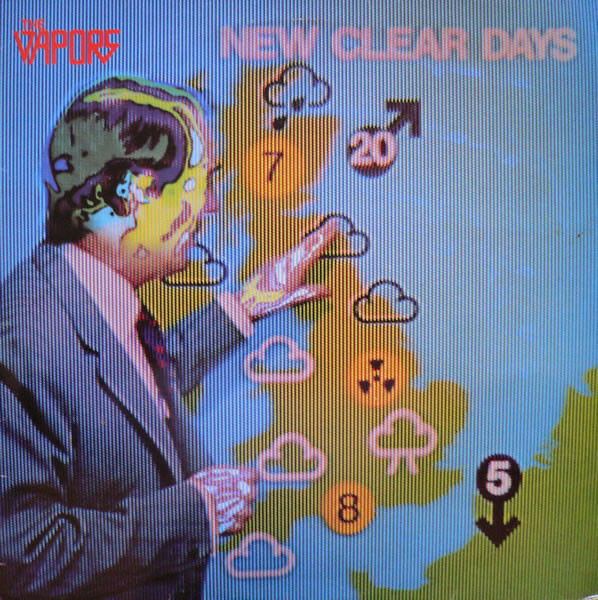 But while technically The Vapors were one-hit wonders, they were about so much more, not least to this perennial teenager, who still rates New Clear Days as one of the finest albums ever made. It’s 36 years since this band from my hometown of Guildford, Surrey, had a worldwide hit with the afore-mentioned 45, and I might as well put on the record (so to speak) straight away that it was probably not about what you heard it was about. That’s been the band’s lead singer and main songwriter Dave Fenton’s take on the subject over the years anyway, although he acknowledges it didn’t do any harm anyway (the publicity about the meaning of the song, that is, rather than anything that might have affected his eyesight). And now I’ve got that out of the way, I’ll let on for those who haven’t already heard that The Vapors are finally dipping a toe back in the water this autumn, with four national dates coming up – in Dublin, London, Liverpool, and Wolverhampton. Not as if the musical journey ended for Dave when the band went their separate ways in 1982, with another decade elapsing before he got back to his day-job as a practising lawyer. As it turned out he was soon involved again anyway, spending 17 years as a London-based in-house solicitor for the Musicians’ Union from 1999. Meanwhile, you may have spotted lead guitarist Ed Bazalgette’s name on TV credits over that same period, more recently directing hit BBC shows (and favourites of mine I might add) like Doctor Who and Poldark, and a documentary about his great-great-grandad Joseph Bazalgette, the 19th century civil engineer responsible for saving so many lives after major cholera epidemics through creating central London’s sewer system. But now Dave – who has taken early retirement from his legal career – and Ed – between his on-screen assignments – are working together again, having rejoined bass player Steve Smith, who never really left the music scene. And while original drummer Howard Smith (no relation to Steve) is busy with his young family back in Guildford, there’s a worthy replacement in the experienced Michael Bowes. As I put it to Dave though, there was talk of a reunion a few years back. So why not then, and why now? “We tried around 2001, but Ed was abroad a lot, working for the BBC, directing and editing, doing holiday programmes all over, so rehearsing was almost impossible. I was at the Musicians’ Union then, but don’t have any commitments at present, so can fit more around Ed. He’s still very busy, as is Steve, who also plays with The Shakespearos. In fact, one of the covers they do is Turning Japanese, and that’s how we ended up playing along with him recently at the Half Moon in Putney. For me this reunion tour can’t come around quick enough, having missed out on the band first time around (I was only 14 going on 15 when they called it a day), having to make do with two studio albums and various singles instead. Dave’s children are grown up now – the oldest 22, having finished his degree, the middle one 20, at university in Manchester, and the youngest 17, doing her A-levels. What do they make of Dad’s return to the music scene? The Jam bass player Bruce Foxton, who co-managed The Vapors with Paul Weller’s dad John, recently spoke about them at a Q&A session at Liverpool’s About the Young Idea exhibition, citing ‘a great band’ with ‘great tracks’ who ‘burnt out kind of quickly’. Fair comment? “I suppose it was. I felt a lot of pressure at the time but it was mainly down to external influences. It wasn’t arguments within the band. “Our breakthrough hit, Turning Japanese, came out on United Artists, but between that and follow-up News at Ten, EMI bought the company out and those who signed us were made redundant. We got inherited by people who weren’t interested. “That was the start, and there was a week when we were at No.3 and The Jam were at No.1 (with Going Underground), so it started to tell. Bruce and John realised they might be on a European tour with The Jam so couldn’t be on an American tour with us. It got too awkward, John held his hand up and said ‘Sorry, it doesn’t work anymore’. So within a few weeks of that hit we’d lost our record company and management. “Actually, we went in the day News at Ten was meant to come out to talk to our A&R man – as John was away – and he didn’t even know it had been released. And that was the bloke in charge of that department. I admit to Dave that while I loved their debut album, it took me longer to warm to follow-up LP, Magnets, despite some quality moments. Yet I love New Clear Days, its themes of cold war politics, militarism, fashion fads and great love songs standing up to this day. How old was Dave when he penned those lyrics? And what was meant to be a year’s sabbatical turned out to be a lot more. 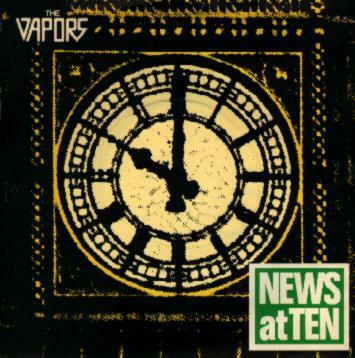 As it turns out, Bruce Foxton had first seen The Vapors before they were the settled band that made the albums. In fact, word has it that was at Scratchers, a music pub in Farncombe (properly known as The Three Lions) now run (and rejuvenated) by a good friend of mine, whose former band – that this scribe mis-managed back in the day – did a neat cover of The Vapors’ Bunkers. But that’s beside the point. Getting back to Dave, had there been many personnel changes by then? Yes, Dave was ahead of his time there, his band moniker beating the Corporation’s own channel of the same name by around a quarter of a century. Anyway, carry on, Dave. So you didn’t know Ed, Steve and Howard before? You seemed to get on well, and say there was no animosity come the 1982 split. Was that BBC Radio 1 session at Maida Vale in July 1979 for John Peel a big moment? 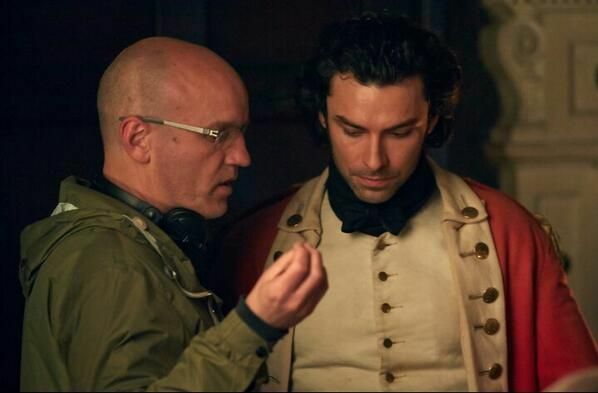 And how did you find working with John Weller? Within months the band also had a prestigious slot on The Jam’s Setting Sons tour. It’s fair to say that fame followed very quickly from the moment the band had that settled line-up. I mentioned second album Magnets and its lack of success. A lot of bands had chances to bounce straight back from a difficult follow-up – The Jam’s Modern World being followed by All Mod Cons for example. But not you. Did the circumstances of that and an uneasy relationship with the label make Dave all the more determined to address such situations when he took on his Musicians’ Union role? Out of interest, did you already have a lot of the songs that would end up on New Clear Days when you struck that initial deal? Eastern Promise: Dave Fenton with a friend during the video for Turning Japanese. Might that include those quality b-sides like Wasted and Talk Talk, both songs I love? The new drummer, Michael Bowes, certainly has an impressive musical CV, including two decades performing with artists such as Nelly Furtado, Joss Stone, Tears For Fears, Heather Small of M People, Michelle Gayle, and Laura Mvula. Michael takes the place of Howard, who until recently ran a record shop in Guildford and now heads People Music Promotions, and for whom I understand the reformation has just fallen at the wrong time. Going back again, at their height, Turning Japanese even topped the charts in Australia, leading to a tour there. And then that same single was finally a success in America too. That must have been amazing, playing venues more likely associated with the likes of The Byrds, The Doors and Otis Redding. For all that the first album and News at Ten single stalled, chart-wise. I know there were mitigating circumstances, but I still can’t really believe that. 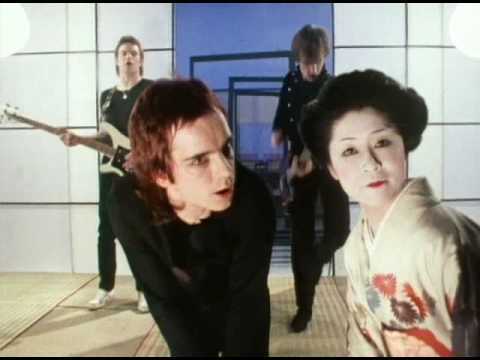 I’ve found myself many times trying to get over that you weren’t just one-hit wonders, great as Turning Japanese was. So many more great songs didn’t get the wider appreciation. Have there been times when you thought, ‘Not that song again’? I’m pleased to hear that, but just wish there was similar success for songs like the wondrous Waiting for the Weekend. When Dave – born in Redhill and brought up in Reigate – returned to the legal profession in 1993, he was working for a firm in Guildford, and fellow pupils would occasionally spot him passing my secondary school on his way to work. But when I was in the sixth form, Steve Smith’s next band Shoot! Dispute – a funk-driven five-piece in the style of the more quirky side of Altered Images, not least through Cathy Lomax’s distinctive vocals – were making something of an impact, and I recall seeing them live a couple of times. I still have their debut single, and remember well their two 1984 sessions for John Peel, who was also a fan. So was Dave keeping tabs on his old band-mates around then? Were you aware of Ed’s work in television? But now they’re back, initially for just those four dates, although there are already bookings for next year. Any recording going on behind the scenes? Another of my favourite bands, The Undertones, tend to just get together for a few occasional shows between careers elsewhere. Will that be your approach? Going back to those early days in Guildford, The Vapors rehearsed above a laundrette, not so far from the scout hut in my home village where The Stranglers had rehearsed. Meanwhile, The Jam started a few miles away in Woking and The Members sprang out of Camberley. So what was it about Surrey’s Sound of the Suburbs that evoked such great music in the wake of punk? I can confirm that. I can find nothing of a band of that name, and the only mention of the lead singer is through him using the name of the prinicipal character in Aldous Huxley’s early 1930s futuristic novel, Brave New World. But you already knew that of course. And from what I can gather, Dave never stopped writing songs, even if the original band split almost 35 years ago. Until then, is it more a case of the best of those first two albums for these four shows? And has you voice changed? 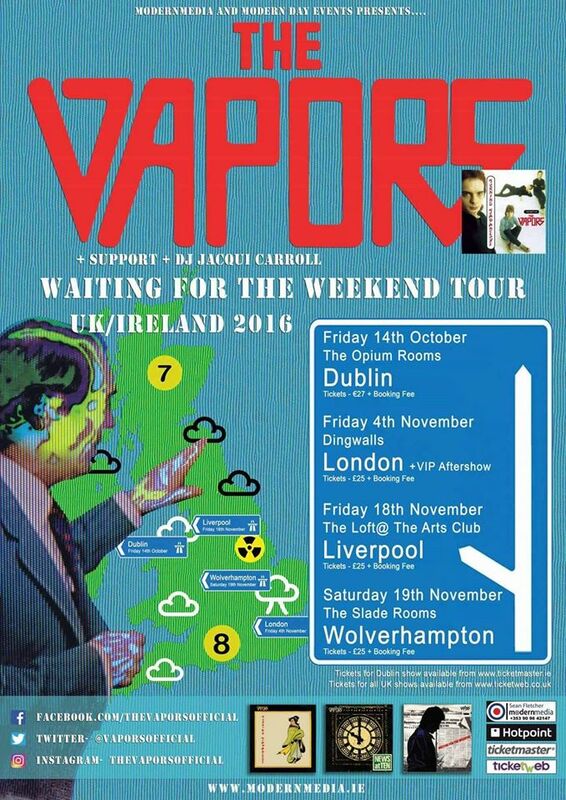 The Vapors visit Dublin’s Opium Rooms on Friday, October 14th, London’s Dingwall’s (in Camden) on Friday, November 4th, Liverpool’s Arts Club on Friday, November 18th, and Wolverhampton’s Slade Rooms on Saturday, November 19th. For ticket details and all the latest news from the band visit their Facebook page. You can also keep in touch via their Twitter and Instagram pages. 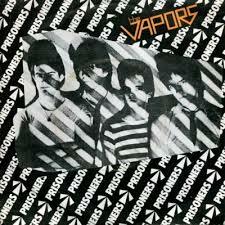 I’d also like to point you towards an appreciation of The Vapors from Neil Waite on the recommended Toppermost website, with a link here. This entry was posted in Books Films, TV & Radio, Music and tagged Bruce Foxton, Dave Fenton, Ed Bazalgette, Howard Smith, Jimmie Jones, John Weller, Magnets, Michael Bowes, New Clear Days, paul weller, Shoot! 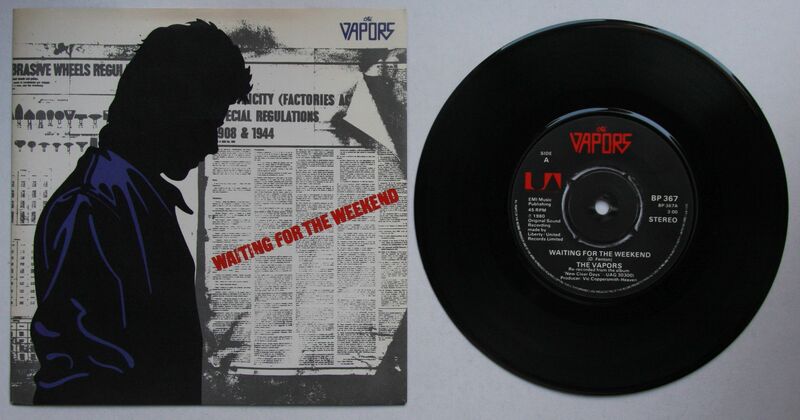 Dispute, Steve Smith, The Jam, The Members, The Stranglers, The Vapors, Turning Japanese, Waiting for the Weekend. Bookmark the permalink. Loved “Turning Japanese” but never listened to anything else they did. But I did see ‘Shoot! Dispute’ at Coventry (I think they were supporting Bruce Foxton on his first solo album tour back in 1984, which makes sense seeing as Steve knew Bruce from his Vapors days). A kindred spirit, Babbitman – I too saw them on Bruce’s Touch Sensitive tour that year. Yep, I couldn’t recommend New Clear Days nearly enough. Bunked off with a whole bunch of lads and lasses from our School (Broadwater County Secondary School) that lunchtime in May 1979 to walk up to Godalming College to see The Vapors. Saw them play The Scratchers in Farncombe, and also several other venues in Guildford. Such a great live band. Happy days! I’m jealous, Richard. Thanks for sharing. Cheers for your input, Jeno. And i’m sure there’ll be a few of you out there flying the flag for Magnets. 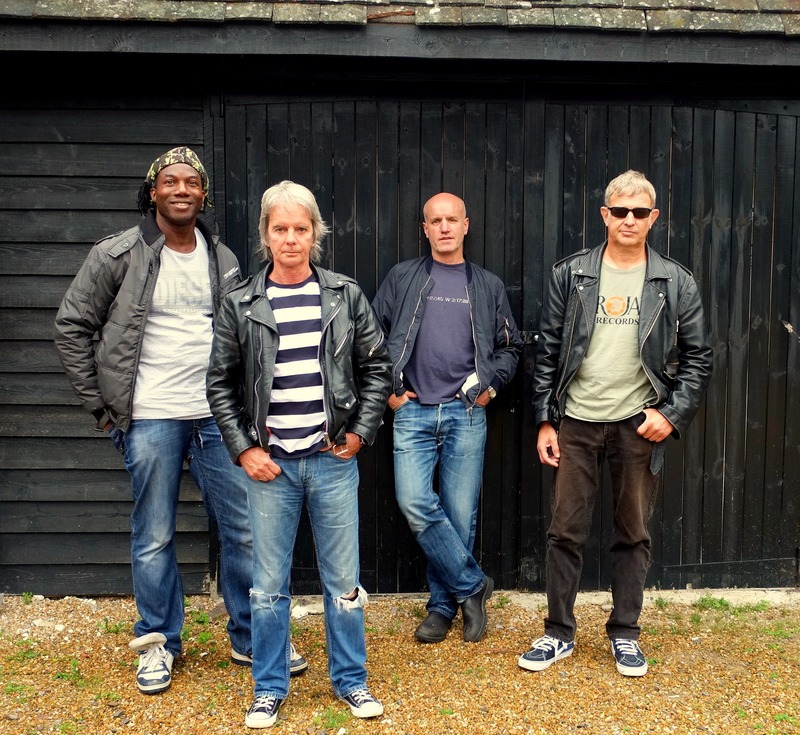 Thanks for the message, Jim, but better going via The Vapors UK Facebook page link at the end of the feature. Just the four this time, Jim (Dublin, Camden, Liverpool, Wolverhampton), but others already being announced for 2017. Here’s hoping Glasgow’s among them, eh. What can I say? I’m a “Magnets guy” as well. I was wondering what David Fenton was up to suddenly and came across this news. I had no idea, and my friends will be pretty interested in this reunion, though we all live in America, so the chances of catching a Vapors gig will be slim to none. Though I do remember seeing the band on the local Atlanta TV show “Tush” back in 1980! Back then, in the early days of cable TV, we got to see the show on cable in Orlando, where I lived at the time, so The Vapors were definitely getting in some promo across America. I always thought it ironic that they outsold The Jam here in America. Thanks for your support. Two more Vapors-related pieces on this site since, in case you missed them – an interview with Ed Bazalgette and a review of a brilliant Liverpool Arts Club show. And who knows, perhaps there’ll be a stateside return some day. My brother bought New Clear Days for me when it came out. I bought Magnets myself when it came out. I kept looking and waiting for the third album…………….. One of my favorite bands for sure. Lots of music talent, good hooks, interesting lyrics. I still listen to those two albums on a regular rotation. They never get old to me. PLEASE COME TO THE USA for some shows. Quite right too. Hope that comes off for you, Timu. Hi Pete, this is Dave. Malcolm contacted me about your comment. Is that Pete Gutteridge? Really enjoyed this article. I was reading about the Jonestown massacre and then remembered a song Jimmie Jones from Magnets (which I still have my vinyl copy). One thing led to another (you know what the Internet is like) and here I am. Glad to hear the reminiscing and what Dave had been up to. Thanks. Pleased to hear that, Nigel. Thanks for your comments – much appreciated. And there’s plenty more where that came from, so keep browsing. Cheers.